A great telephone at a very reasonable price. This is a GPO 332L with drawer. 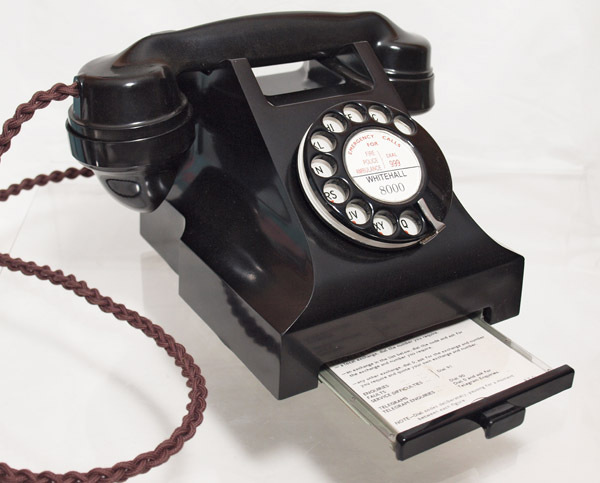 The handset is dated 164 S 44/1 and so it was produced at the end of the war. This one is being sold at a lower price due to the Bakelite parts not coming up to a high gloss and having a very slight browning. 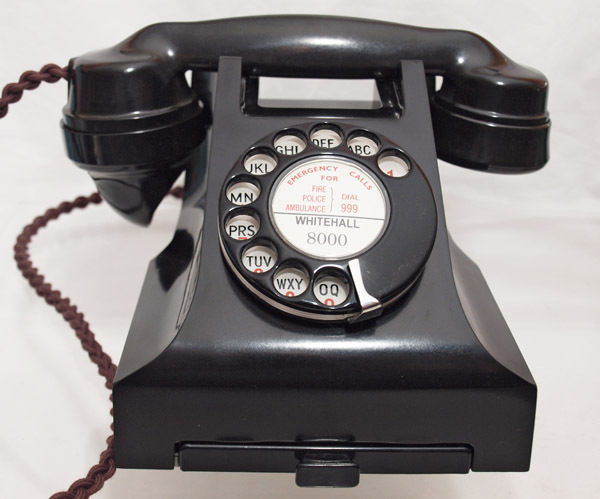 It is fitted with a later dial from the 1960s with a nice black dial front and alpha numeric dial back. 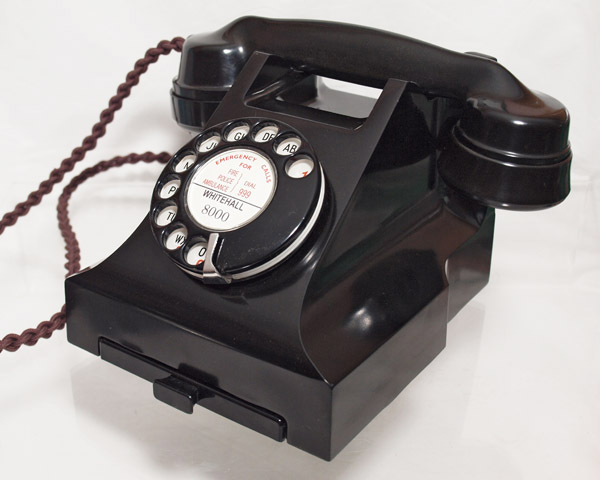 It has been fitted with a best quality hand plaited all British made braided handset cord, a GPO specification round plastic line in cord with a UK telephone socket and an electronic microphone to bring the speech quality up to modern standards. 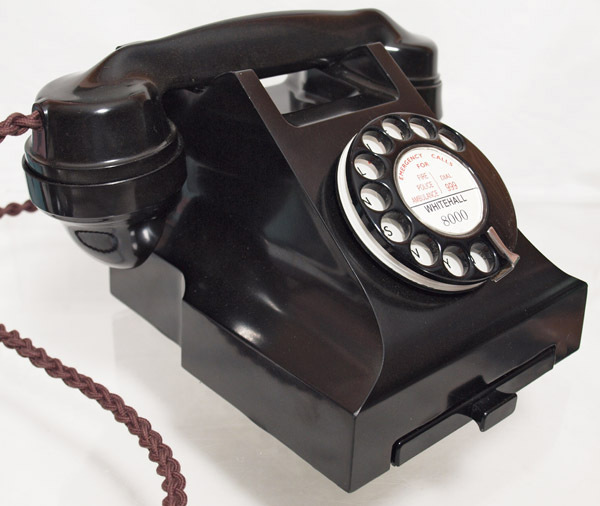 It has a pull out drawer as you can see and if you are not a perfectionist but want a quality GPO telephone restored to a great standard then this is it. I can make a dial label with your information at no extra cost.